Father’s Day is just around the corner, which means it’s time to spoil Dad on his special day. 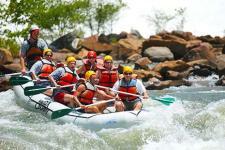 Play a round of golf, catch a ball game, or take a rafting adventure down the Ocoee River. 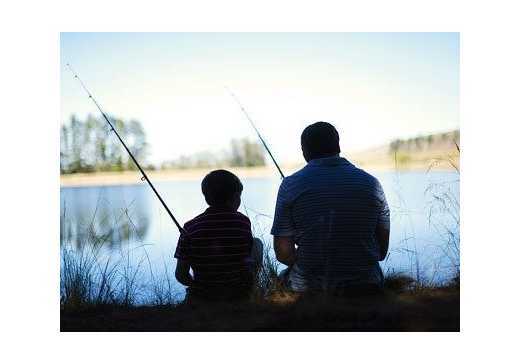 Here are just a few ways to celebrate Father’s Day in Chattanooga this year. If there’s one thing any father is bound to love, it’s a good round of golf. Enjoy the beautiful mountain views at the Moccasin Bend Golf Course or the Lookout Mountain Club, or spend the day by the water at Bear Trace at Harrison Bay. 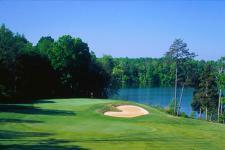 Great views and a good game of golf are sure to make this Father’s Day a hole-in-one. Father’s Day Bacon, Blues & Brews at the Chattanooga Market, 11 a.m.– 4 p.m. Treat Dad to a Chattanooga Market experience — themed just for him. From bacon cheeseburgers and craft beer to local blues music, Bacon, Blues and Brews will make any father happy. If you need a great gift, don’t forget to pick him up a special present from one of the local vendors. Who doesn’t love a dose of outdoor adventure? After all, Chattanooga was named the Best Town Ever by Outside magazine – twice. Take time to explore miles of amazing trails, battle the raging rapids of the Ocoee River, or conquer the skies in a hang glider. There’s no shortage of amazing outdoor activities that dad’s going to love in Chattanooga. With its luminescent, color-changing outdoor walls, High Point Climbing & Fitness is hard to miss. With areas for bouldering, lead climbing, top rope, and 20 auto belays, the gym provides a great introduction for anyone interested in seeing what rock climbing is all about. Spend the day scaling the 30,000+ feet of rock walls and then head next door to Mellow Mushroom for a slice of pizza and a cold beer. Nothing is more American than watching a baseball game. 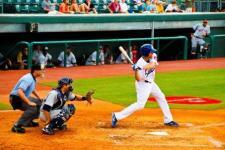 Take Dad to AT&T Field and cheer on the Chattanooga Lookouts together. Grab a hot dog, popcorn, or a bag of chips and wash it down with an ice cold Coca-Cola or a Vienna Lager from Chattanooga’s Big River Grille & Brew Works. If you’re looking for toe-tapping tunes, check out Summer Music Weekends at Rock City Gardens or stop by the Flying Squirrel for Sunday Brunch. If you are looking for some laughs with dad, Dusty Slay will be performing at The Comedy Catch June 14-16. For a relaxing journey down the Tennessee River, experience the Southern Belle Riverboat and treat yourself to live music, tours of the pilot house, and a delicious buffet-style dinner. Or, if you feel like touring the river via your own manpower, rent a kayak or paddleboard from L2 Outside. 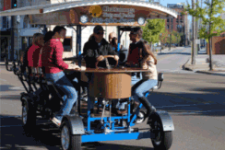 For a truly unique way to explore the city, hop on Pints and Pedals, the ultimate bike pedal tour and bar crawl on wheels. Have a blast showing Dad Chattanooga’s booming bar and restaurant scene downtown and in the Southside. 21+ only. Let dad find his inner kid and treat the whole family to an unforgettable time at Lake Winnepesaukah, the South’s favorite family amusement park. This Father’s Day, bring a carload (up to five people) and pay only $120 for unlimited rides. Be sure to twirl, whirl, and speed into fun on the Genie and the Cannonball! Whether you’ve been planning something for months or you’re scrambling at the last minute, these are just a few ways you can show Dad how much you care. After all, Dad deserves a day of celebration just for him. Happy Father’s Day!